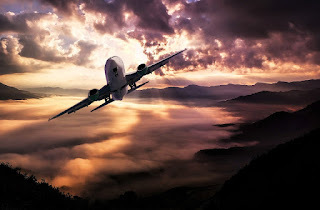 As summer is fast approaching again, and people will soon be jetting if to sunnier climes, I thought it would be a good idea to have a few travel tips posts and where better to start than a few words a about the joys of long haul flights in economy class! Personally, I’m one of the lucky ones who can eat my dinner, down a few drinks, and then sleep all the way through to breakfast, but if you are one of those unfortunate enough to have to actually endure the fight, here are ten basic travel tips for surviving long haul flights. Even if you do get some sleep on your long haul flight, it’s unlikely to be quality sleep, because the seats are so darned uncomfortable in economy class and you can’t really lie back properly. You are better off getting some sleep and resting before a flight and not believing that, if you get on the plane tired, you will get a good night’s sleep, because you probably won’t. Don’t just settle for what seats the airline allocates at the check-in, try and get yourself the best seats that you can. Some seats are far more comfortable than others, even within the same class, so try and grab an exit row seat for more leg room or a window seat if you want to sleep. If you are going to try to sleep, there’s not a lot you can do about the cramped conditions in economy class, but you can bring a travel-pillow or head restraint, which will make your sleep more comfortable and help stop you getting neck ache. If you are a light sleeper, then earplugs and an eye mask might be a good idea too. Depending on the airline that you fly with, you might not get any choice of movies to watch so that could mean a long time sitting twiddling your thumbs! It’s a good idea to take your iPhone, iPod or tablet, along with some earphones, to keep you occupied during the flight. Of course, if you are a reader, then a good book would be a good idea too. It’s always fun to watch people arriving for a two week vacation struggling with enough baggage for two months! Travelling light is so much easier, so only take what you know you are really going to need. Only take the bare minimum in carry on luggage too. If you try to take too much into the cabin, it will only be put in the hold anyway, or worse, it won’t fit into the overhead luggage space and you’ll end up with it taking up valuable leg room under the seat in front of you. An article on travel tips for long haul flights wouldn’t be complete without mention of DVT. Siting in the same position for eight hours or more won’t only make you stiff and give you backache; it could also cause the very dangerous condition known as deep veined thrombosis. When you are awake, get up from your seat and take a walk down the aisle and have a good stretch. It will get the blood flowing through your body again and give your muscles a bit of a break. The air supply in an airplane is very dry so, to avoid becoming dehydrated, drink plenty of water during the flight. Dehydration will make you feel even more tired and uncomfortable, and you will feel like death warmed up when you arrive at your destination if you don’t drink any water during the flight. Forget about fashion and looking ultra-smart for a flight, nobody will be looking at what you are wearing anyway. Wear loose fitting, comfortable clothes, and avoid anything with tight waistband that could restrict the flow of blood. You will have enough trouble surviving a long haul flight as it is without having to worry about your tight trousers causing you agony as well. Getting upgraded to club or business class is possible, but that’s for another travel tips post. If you do see a row of unoccupied seats on a flight in economy class, though, don’t be afraid to ask if you can move. If you can bag an entire row, you could stretch out and get some proper sleep. A lot of people will say don’t drink alcohol at all on a long haul flight because it will dehydrate you, but hey, you’ve got to have some fun! Do be careful about how much you drink, though. It’s very easy to get carried away with your drinking on a flight because there is very little else to do. If you get drunk, though, you could land yourself in a whole heap of trouble and find yourself being arrested when you get off the plane, so make sure that this is one long haul flight travel tip that you do take notice of!